The passionately lyrical Alejandra Pizarnik was one of Argentina’s most distinguished 20th century poets. Her untimely death in 1972 from an overdose of barbiturates was a literary as well as a personal tragedy for those who followed her life and work. Ms. Pizarnik was born in Avellaneda, a suburb of Buenos Aires, Argentina, in 1936. Her parents were Jewish Ukrainians who left Europe in the 1930s. 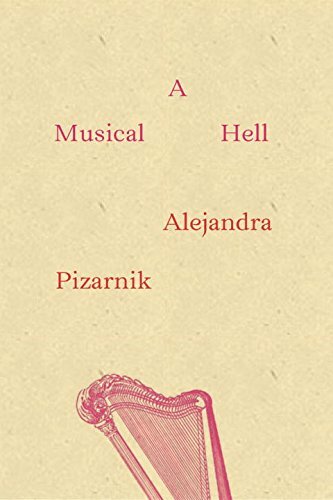 A Musical Hell, pamphlet #6 in New Directions’ Poetry Pamphlets project, is Ms. Pizarnik’s first complete book to be published in English. A prolific young writer, Ms. Pizarnik’s first volume of poetry The Land Far Beyond (La tierra más ajena) was published in 1955 while she was enrolled in the Universidad de Buenos Aires. She went on to publish a total of eight volumes of poetry over the course of a writing career tragically cut short by suicide. A Musical Hell was published in 1971, a year before Ms. Pizarnik’s death, and, while she published one more book after this one (The Blood Countess), A Musical Hell is nonetheless filled with the alienation, loneliness, and silence which may well have contributed to her death. Ms. Pizarnik struggled with life and with language, struggles that were at once physically passionate and passionately aesthetic. Silence and music as well as silence and image were at the center of these struggles. Death, after all, is the ultimate silence, and it requires its own specialized linguistics. She continued to try to come to terms with language and, at the depth of language, its profound failures. Poetry and silence had become for Ms. Pizarnik metaphors for life and death. Death and dying, language and silence defined this young woman. In her brief career, Ms. Pizarnik spoke to a generation of Argentinian youth in a voice that was transformingly spiritual. Typically for a younger poet, Ms. Pizarnik’s work occasionally veered into an unpolished emotionalism—with the attendant appearance of solipsism that sometimes results. But those incidents were rare, and not at all unexpected in the work of a poet whose life has been cut short. She does not have a mature period with which to compare her earlier work. Still, the dark themes of her daily existence were handled most of the time with an outstandingly mature sense of control quite remarkable for the younger person that Ms. Pizarnik was—and on the page—will forever remain. The translation by Yvette Siegert is skilled and unobtrusive, mostly literal, and always clean and spare. Ms. Siegert does not “break into” the work and its flow in any way. Her splendid skills invite us in.